Jennifer Nicholas awarded an RSNA Education Scholar to develop tools to teach Haitian radiology residents. Following the Haiti earthquake of January 2010, the rebuilding of the St-Michel Hospital located in Jacmel was proposed by the Canadian Red Cross. After that, we (CHU Sainte-Justine, Montreal University, Canada) were asked to participate in the training of professionals of this hospital and to help them improve the quality of the care they offer their patients. This regional 100-bed hospital offers the following services : maternity, pediatric, internal medicine, surgery and emergency. Our project builds on an interdisciplinary approach. Mission teams are composed of physicians, pharmacists, nurses and many other professionals. We provide training that corresponds exactly to their needs. Each mission is based on collaborative work, upstream and downstream, because it is important to ensure that our program objectives and our intervention strategies are aligned with theirs. Over a period of more than six years, we undertook 92 missions, which employed 71 healthcare professionals. We provided 2811 participants with more than 159 training days and more than 4526 hours of coaching for all healthcare units and departments of this hospital in order to participate in the reorganization of the healthcare facilities. For this purpose, we have created new departments, including a biomedical engineering service that will take care of repairing and maintaining the medical equipment. Also, an occupational therapist implemented a rehabilitation service for the patients of this hospital, with the help of an international non-governmental organization. We were also involved in setting up a neonatology department. In February 2016, we started a training program, both theoretical and practical, for eight health care professionals, including four physicians, three nurses and a nurse-midwife. This training program focused on principles, methods and skills required to perform exams with the ultrasound imaging technique. It consists of theoretical courses, images analysis and interpretation of clinical findings regarding patients previously assessed. Support is given during each mission and also between training sessions, through the tele-training platform implemented by Martin Cyr. Dr. Josée Dubois is in charge of the training contents, the methods used during training and the participant assessments. Returning from each mission, a report on training and support activities is written and submitted to the coordinator of the integrated health program at CHU Sainte-Justine. Many professionals showed great interest in this training. In February and March, some of them even sent us by email the echographic images that they have performed. This commitment to implement what they just learned is very much appreciated. In order to help us with this consultative approach, we were in contact with Dr. Jean Lafontant, a Haïtian doctor in Jacmel with a vast experience in this sector who served as a coordinator in this project. He helped us to understand the Haitian society and to develop strategies that were adapted to this community. Had it not been for his interventions and his inestimable cooperation, the impact of the training content would not have been the same. Thanks to the contribution and commitment of each and every member of the team that helped us achieve our objectives. The professionals involved in this project are fully devoted to the cause. 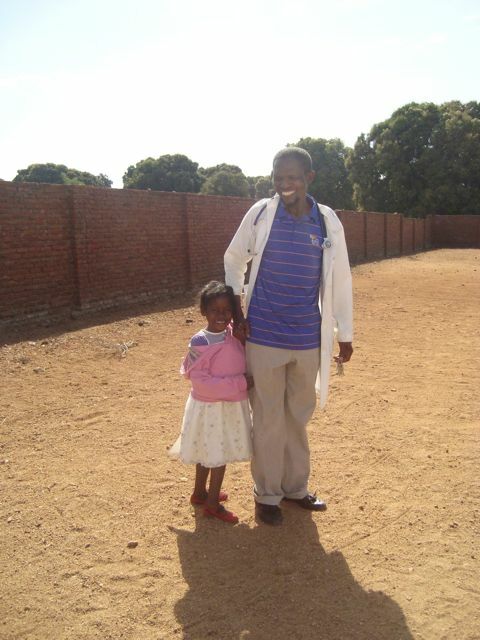 "Before I attended medical school, I worked in several capacities as a teacher. As an undergraduate, I majored in Spanish and Psychology with minors in Latin American and Family Studies. Because I was proficient in Spanish, I was assigned to a bilingual classroom. Many of the students in my second grade class were recent immigrants to the United States. The disparities in physical and academic development I observed among the students in my class affected me profoundly. While I was in graduate school at the University of Colorado, I taught Spanish to first-year students. Thankfully, I also studied French as part of my master’s program, which has proven to be quite useful in Haiti. .
During medical school, I participated in a semester-long course that prepared us for a trip to Honduras to provide primary care in a remote clinic. During the first year of my radiology residency, I accompanied a group of medical students to Jinotega, Nicaragua and returned the following summer to teach basic ultrasound to primary care physicians. I also introduced ultrasound to a clinic in rural Kenya. Over the course of the next five years, I worked with a Kenyan physician to learn ultrasound and worked on the Mbirikani Group Ranch, which deepened my understanding of the need for radiology education in resource-limited settings and solidified my commitment to global health. 2013 ACR had an outreach mission to Haiti. Since then, I have visited Haiti eight times and hosted several Haitian radiology residents at the RSNA. During those visits in my home, the residents and I talked about their visions for radiology in Haiti—to elevate radiology in Haiti to a specialty that is valued by other physicians; to improve the radiology department at the general hospital where their program is based (HUEH); to forge careers as radiologists in Haiti with levels of sub-specialization that have not yet been known in Haiti; and to become educators and leaders for future generations of radiologists in Haiti. Our enthusiastic discussions were usually quickly tempered by the realization that the current training program at HUEH falls short of what the residents need to realize these goals. In May of 2016, I was recruited to Washington University’s Mallinckrodt Institute of Radiology (MIR) in part to help build a global outreach program. . 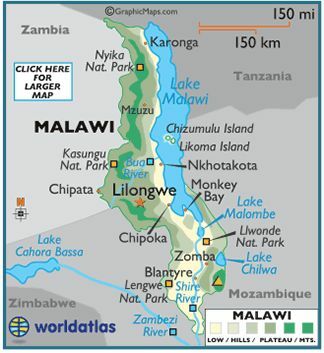 In July 2014 WFPI undertook an exploratory outreach mission to teach and determine pediatric radiology needs in different environments in Malawi. The visit aimed to provide tele-reading support for pediatric imaging and pave the way for future teaching and training visits. Dr. Tracy Kilborn (Head of Pediatric Imaging, Red Cross War Memorial Children’s Hospital, Cape Town) volunteered for the trip. 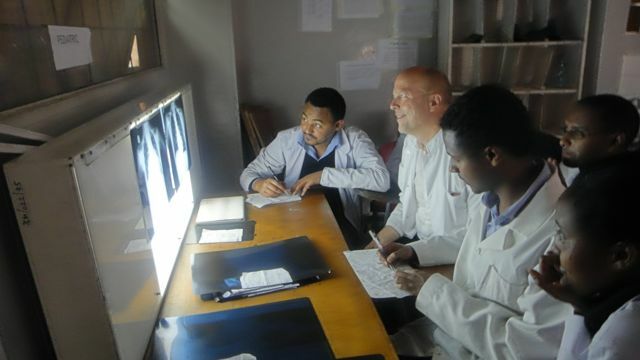 A member of the South African Pediatric Imaging Society and a WFPI tele-reading volunteer, Dr. Kilborn's geographical proximity and experience with endemic diseases, equipment constraints and environmental limitations leave her well equipped for regional outreach. Queen Elizabeth Hospital Blantrye offers 300 Pediatric beds and conducts 100,000 Pediatric reviews per year in A/E with 20,000 Pediatric admissions per year. A 0.75T open magnet, installed by Johns Hopkins as a research magnet, is used by the hospital. A CT machine purchased 4 years ago is in storage while waiting for a room to be built. The sole MoH radiologist is stretched to support radiography and ultrasound as well as MRI. along with teaching paediatric ultrasound techniques to sonographers, consultations on complex medical and surgical cases and engaging in discussions on CXR technique with radiographers. Among the conclusions of the trip: Point of Care (PoC) ultrasound in all the facilities visited would be of immense relevance and value. Happy volunteers for the ultrasound training...! In November 2015 Dr. Kay North of the Children's Mercy Hospital, Kansas, and Imaging The World (below) visited Pothawira and Dr Maseko again. 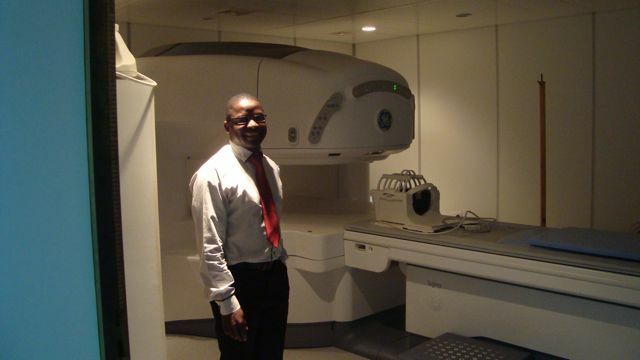 “Although it is a bit unconventional, we scanned patients prior to their evaluation with either Dr. Maseko, Dr. Alaniz, or the other clinical officer. Since most of the women traveled to the clinic specifically to be scanned, we found better patient flow when we could send them for evaluation with the Ultrasound results noted in their medical passports. However, we did not prescan the children, they were evaluated by Dr. Maseko first and if they required imaging, we worked them in as soon as possible.”We saw varying pathology. Renal stones with severe hydro, pelvic kidneys, cervical cancer grown into the bladder causing significant hydro, large thyroid mass compressing the airway, large ovarian masses, fibroid uterus, gall stones, inguinal hernias containing bowel...For more:. WFPI partners with Imaging the World (ITW, www.imagingtheworld.org) so as to move pediatric PoC ultrasound forward in Uganda and Malawi. 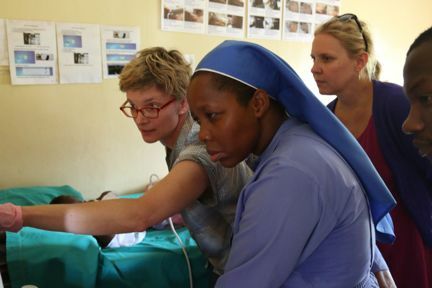 To date, ITW's work in Uganda has involved non-radiologists acquiring ultrasound images using anatomical landmarks on the skin and storing US sweeps as cine-loops in a standard format, to be read by radiologists at a distance (tele-reading). ITW has no pediatric protocols, so pediatric radiologist Dr. Julie Hurteau (Children's Hospital of Eastern Ontario, University of Ottawa, Canada) and Dr. Sabine Bélard (Charité University Hospital, Berlin, Germany) joined Dr. Kristen DeStigter (Fletcher Allen Health care, University of Vermont, Canada, and founder of Imaging the World) on Dr. DeStigter's trip to Uganda in August 2014. Dr. Bélard has been involved in WFPI's research on pediatric protocols for volume sweep ultrasound in Cape Town since 2013. The aim: explore perspectives for establishing ultrasound as a diagnostic modality for pediatric pneumonia and tuberculosis in rural Uganda and set up some foundations for future ITW-WFPI collaboration in Malawi. UPDATE May 2015: protocols drafted, roll out all set, next visit being planned! More details soon! Dr. Julie Hurteau with Sister Angela, the heart and soul of the rural health clinic of Nawanyago in Kamuli, and Dr. Kristen DeStigter. Number of radiologists in Uganda – 34. This means that more than 80% of Ugandans (rural) have access to only 30% of the medically trained health care providers. Also they are seen at primary health care facilities which mostly lack any imaging facilities. How about diseases in Uganda? Provide CME for the general radiologists following the same. UPDATE JUNE 2015: The pediatric radiology fellowship has now reached the final stages of accreditation by the Addis Ababa University. The application and curriculum has reached the senate of the Addis Ababa University. Accreditation will hopefully be obtained in 2015. Full focus on reviewing "Unknown Pediatric Radiology Case"
The Children’s Hospital of Philadelphia (CHOP) Pediatric Radiology International Outreach Program was established in 2008. With continued support from the Department of Radiology the program has flourished. Today, activities focus on promoting pediatric radiology through education in Ethiopia, Botswana, Colombia and Eastern Europe. What drives this "knowledge donation" for institutions such as CHOP? Here's an example. 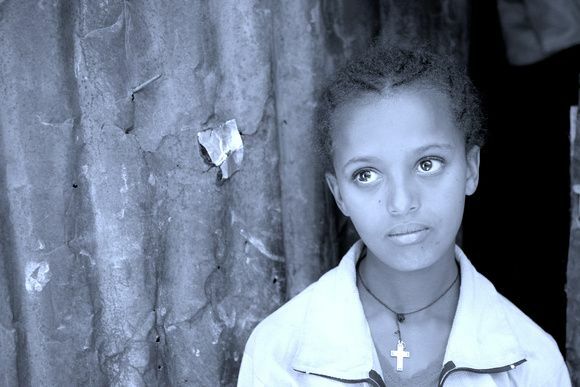 In Ethiopia, children who presented with a specific form of intestinal obstruction (intussusception) were operated on in all cases. The 2014 CME course included a presentation of the sonographic guided option with enema to solve this problem. Last year the Black Lion Hospital started a pilot program and reduced the operation rate in children by 77% in one year. This was the impact of this one 30 minute presentation. The 5th Annual Pediatric Radiology Continuing Medical Education (CME) course took place on Saturday the 10th of October 2015. This year it was carried out separately from the Annual Meeting of the Radiological Society of Ethiopia. It was conducted under the auspices of the World Federation of Pediatric Imaging (WFPI). This one-day national CME course was a great success with even more attendees than last year. This year a total of 150 participants took part in the CME course, primarily radiology residents and radiology consultants, but also pediatricians and pediatric surgeons. This record number of participants was impressive as it included 80%-90% of the radiologists in the country. Not only did they come from the capital city Addis Ababa but from all around the country. Participants reviewing "Unknown Pediatric Radiology Case"
The Ethiopian Medical Association (EMA) supported the local organization of the meeting in addition to covering the travel and accommodation expenses for the Ethiopian radiologists coming from outside the capital city Addis Ababa to attend the meeting. As currently practiced in the country there was no CME course fee. However, for the very first time this year radiologists from the capital city Addis Ababa were required to pay 100 Birr (equivalent to 5 USD) to get their CME certificates. Those coming from outside Addis Ababa were exempted from this in order to attract future attendance. See here for the full report and here for photos (legends at end of report). 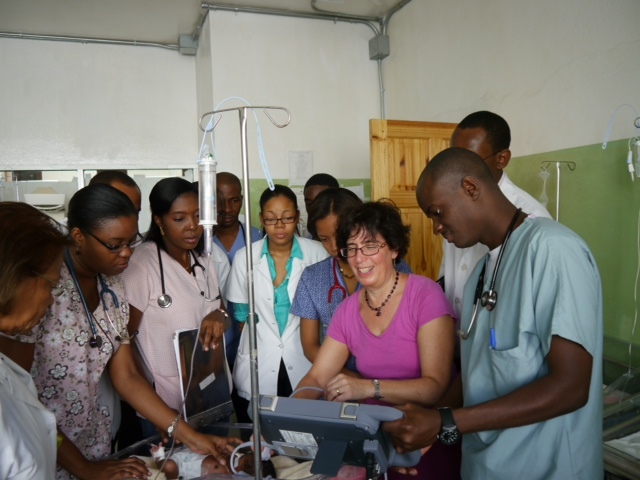 The ACR has partnered with Grace Children’s Hospital in Port-au-Prince, Haiti, sponsoring annual radiology education days in 2013 and 2014, followed by more a targeted approach in 2015 (see blue box, right). In March 2014, Drs. Dorothy Bulas, Jennifer Nicholas and Kimberly Applegate (SPR) participated in the 3rd ACR/ICC Radiology Education Days Conference. They provided eight didactic lectures on different aspects of pediatric imaging and a hands-on ultrasound program featuring pediatric patients from nearby University General Hospital and Grace Children’s Hospital. 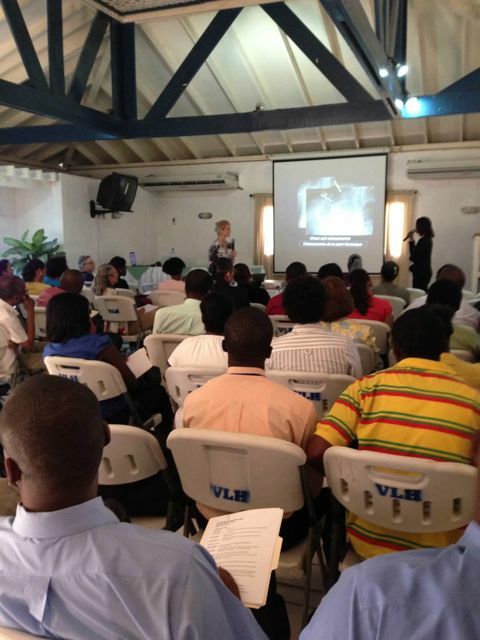 The session was attended by a capacity crowd of 100 Haitian physicians. During her visit, Dr. Jennifer Nicholas (lecturing, image left) met some 150 healthcare providers looking to enrol in her nascent online learning community "Pediatrics Global Health" (see here). The enrolment process provides further opportunities to learn about individual educational interests and needs. When ACR first went to Haiti in 2011, 19 radiologists were serving a population of over 10 million. Today, we are pleased to report that 10 radiology residents are currently in training at the University General Hospital. If they matriculate successfully and stay in Haiti, radiologist numbers will have increased by 50%. 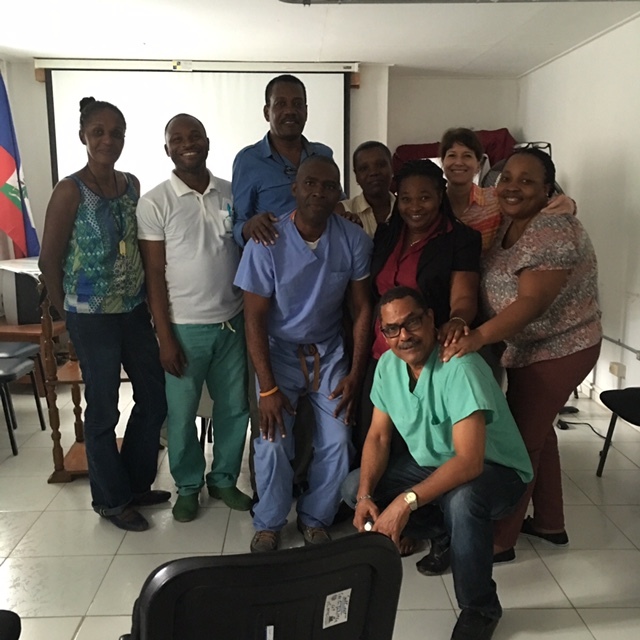 While in Haiti, ACR met with the leaders of the hospital and signed a Memorandum of Understanding to assist these residents in their training as they prepare for a new hospital with greater diagnostic radiology capability. Furthermore, ACR also met with the Medical School of Haiti to assist in the formal development of a four-year radiographer program, echoing WFPI’s own drive to involve and support radiographers in its outreach and education work. They are pivotal to imaging outreach and education initiatives in lower resource settings, and WFPI applauds the inclusion of a 2 day radiographer program in these 3rd Annual Radiology Days. As a follow up to prior hosting of two residents from the Hospital Central de Maputo, Mozambique, in UCLA's Department of Pediatrics and Pediatric Imaging, UCLA's Centre for World Health took this partnership a step further in March 2014. Prof. Ines Boechat received support for a teaching and training trip to Maputo. The visit focused on bedside training during pediatric rounds and lectures and strengthened interactions between pediatric and radiology teams. Dr. Paula Santos (Chief of Pediatrics) and Central Hospital de Maputo's pediatric team requested further chest imaging training: an extended rotation in pediatrics and pediatric imaging for a HCM faculty member - Dr. Josina Chaluf - took place at UCLA in June/July 2014 and again in March/April 2015. Maputo Central Hospital now seeks second opinions on difficult pediatric imaging cases from WFPI via the Collegium Telemedicus tele-platform. Referred from onsite by Drs. Josina Chalufo and Williiam Buck, WFPI tele-volunteers include Drs. Ricardo Faingold , Cicero Silva, Ines Boechat, Denise Castro and Henrique Lederman. Dr. Carolina Guimaraes is on standby for neuro. Most cases are chest CXRs, the hospitals CT machine was broken down for long months over 2015. Update Nov 2015: 12 referrals; mostly CT chest: infection, congenital. 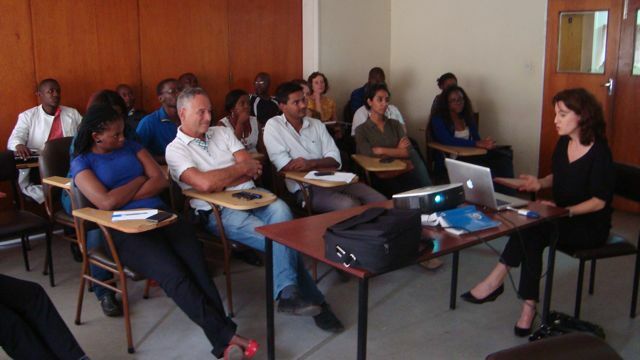 At the request of the Ministry of Health of Mozambique, the NGO “Health 4 Mozambican Children and Families”, in collaboration with the Portuguese Society of Radiology and Nuclear Medicine and the Medical Schools from Porto, Hospital de S. João, Lisbon, Hospital de Santa Maria and Coimbra, Centro Hospitalar, held the "1st National Postgraduate Course in Radiology and Pediatric Ultrasound for Pediatricians" from 3 to 7 November 2014. See here for more. The Brazilian government, via the State University of Rio de Janeiro, has responded to the vastness of the country and health care disparities by developing an online approach. The UERJ Telehealth Centre has adopted the free, open sourced module platform for its distance education program and added on a teleconsulting system offering synchronous (live chat) or asynchronous access. The image below shows the reach of the pediatric radiology platform, RADPED. WFPI aims to facilitate Mozambique’s access to these e-learning platforms.